The Bigelow original. No recipe makes us prouder. 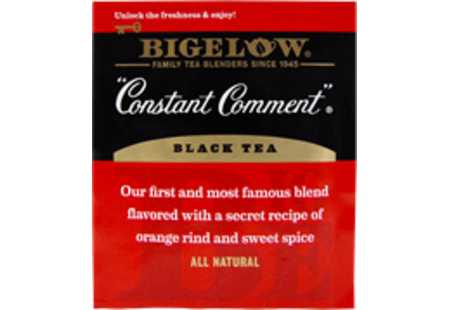 To this day members of the Bigelow family are still the only ones who blend this secret recipe of black tea, rind of oranges and sweet spice. One sip & you will know there is still no tea like it… take a whiff then enjoy the one and only “Constant Comment”.